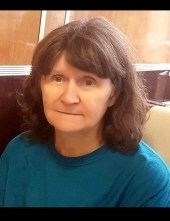 Joan Ratliff Looney, 65 years of age of Grundy, VA, passed away on Sunday, February 10, 2019 at Pikeville Medical Center. Born April 21, 1953 in Grundy, VA she was the daughter of the late Richard Chester and Ruby Ivel Wilmer Ratliff. Joan was of the Christian faith and enjoyed gardening and working with her flowers and most of all spending time with her grandchildren. She was a loving mother, grandmother, great-grandmother, and sister. In addition to her parents, she was preceded in death by her husband George Clinton Looney JR and two sisters, Shirley Layne and Yvonna Looney. Those left to cherish her memories include one daughter, Sharon Looney Estep of Grundy, VA; one son, George Glen Looney of Grundy, VA; four sisters, Delorse Ratliff (Darrell) Looney of Paterson, VA, Pat Ratliff (Ronnie) Layne of Grundy, VA, Rita Ratliff (Jackie) Prater of Martin, KY, and Rebecca Ratliff (Allen) Cline of Grundy, VA; and four brothers, Roy (Loretta) Ratliff and Gary (Brenda) Ratliff both of Grundy, VA, David (Joann) Ratliff of Salem, VA, and Mark (Jennifer) Ratliff of Grundy, VA.
She is also survived by two grandchildren, Amber Denise Estep and Brandon Keith Estep, two great-grandchildren, Gabriel Ray Coleman and Kylie Marie Coleman, and numerous nieces and nephews. Funeral service for Joan Ratliff Looney will be held at the Shortridge-Ramey Funeral Home Chapel of Grundy, VA, Wednesday, February 13, 2019 with Pastor Shea Shrader officiating. Burial will follow in the Colley Cemetery in Breaks, VA. The family will receive friends at the Shortridge-Ramey Funeral Home Chapel, Wednesday, February 13, 2019 from 11:00 am until time of service. The family of Joan Ratliff Looney have entrusted the care of their loved one to Shortridge-Ramey Funeral Home of Grundy, VA.
"Email Address" would like to share the life celebration of Joan Ratliff Looney. Click on the "link" to go to share a favorite memory or leave a condolence message for the family.